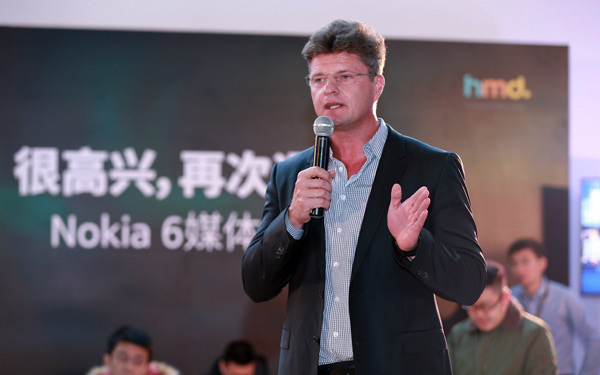 HMD Global has announced that its acting Chief Executive Officer Arto Nummela has resigned from the company. This resignation comes through mutual agreement between Mr. Nummela and the HMD Global Board of Directors and it is made effective immediately. In their press release, HMD Global did not comment on the cause of resignation. Mr. Sam Chin, Chairman of the Board, only proceeded to recognizing Mr. Nummela’s role at HMD and thanking him for his contributions. HMD Global’s current President, Mr. Florian Seiche has been appointed to the role of acting CEO, which he will presume immediately and in addition to his role as President. Mr. Seiche had been co-leading HMD Global as President since the start of the company. Prior to his current postings inside HMD, Mr. Seiche has worked with Microsoft, Nokia and HTC among other companies. Mr. Nummela’s resignation from senior management levels comes as a surprise to the tech community as it comes right at the peak of HMD Global’s efforts with the Nokia brand. The Nokia 8 is right around the corner, and HMD Global had also been massive marketing efforts for its already-released smartphones. Mr. Nummela served at the forefront of these efforts during the return of the Nokia brand, so the reason for his departure will remain a talking point in the tech circles. Mr. Nummela joined HMD Global last year after spending over a decade at Nokia and Microsoft in leadership roles. His future plans remain unclear. What are your thoughts on Arto Nummela’s departure? Let us know your thoughts in the comments below!